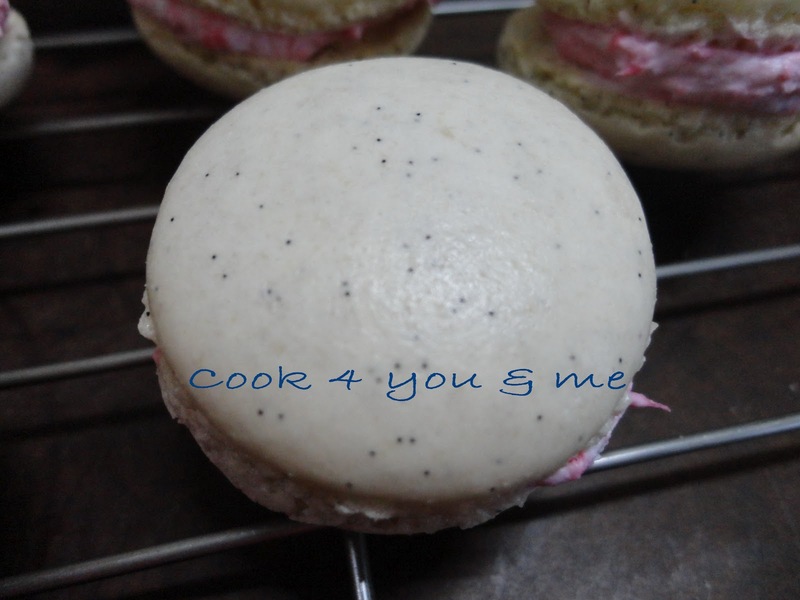 This is my 4th time make macaron.This last 2 time very success.The 1st and 2nd time is fail.When the 2nd time also fail,i told my friend that i don't want to make macaron anymore.I feel so sad about it.I want to go for the macaron class.But the bakery shop lady say they don't have macaron class because not all people like macaron.Why?Because macaron is a very very sweet thing.Normally Chinese won't like it.Too sweet.My mother also don't like it.But i love to make.It look very nice.I love to look at the macaroon.When i see my macaroon got leg,i so happy.Yes.....i success. 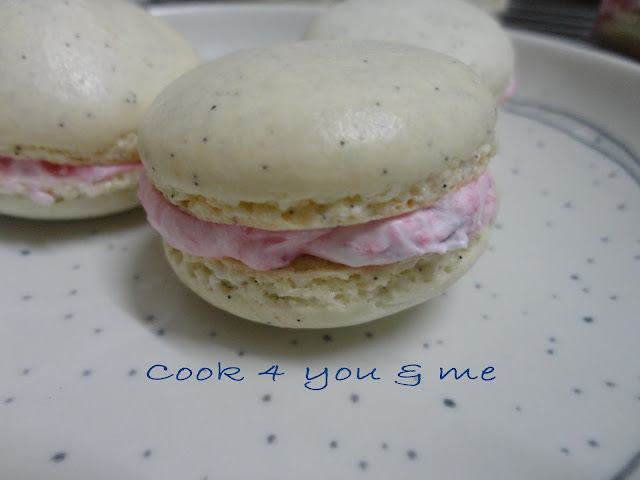 Why i want to try the 3th time?I was a person who not easily discouraged in cooking and baking.So,i look for more recipe and tips.Then i search and search at many blog.Finally i choose Wendy recipe.I believe it because i have try many recipe from Wendy blog. The black spot is vanilla seed.I love it.Look so nice.The colour of the cream so sweet..I so happy when i look at my macaron. Sift almond meal with icing sugar. 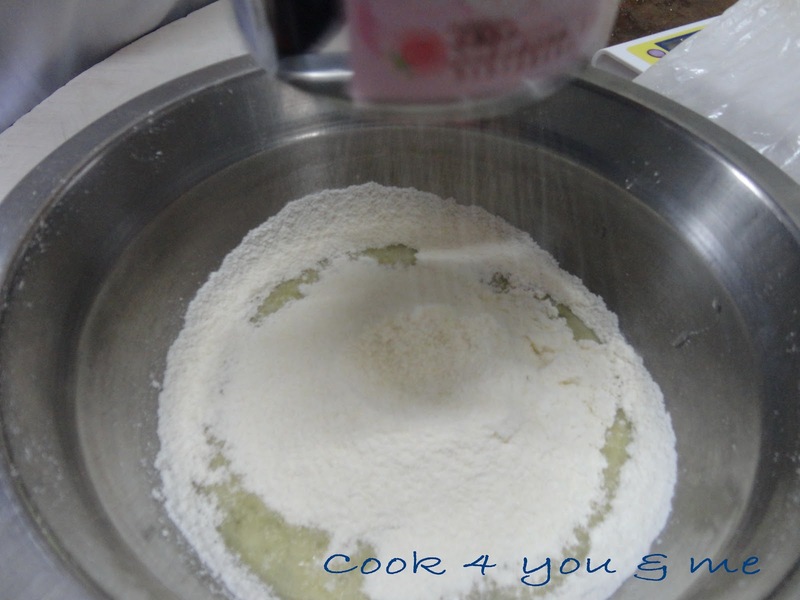 Mix almond mixture with egg white,vanilla seed and salt. Set aside. Stir 1/3 of meringue into almond mixture. Pour almond mixture into meringue and fold ( remember don't stir it) The batter must look like cake batter. Bake in the prepared oven at 150'c for 14-15 min. 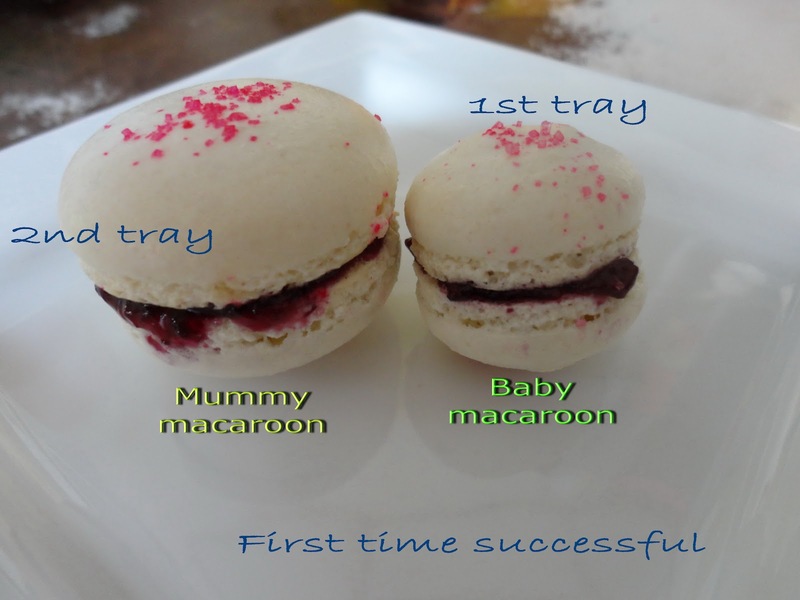 Place 1tsp of cranberry compote cream on the macaron and top with another macaroon. Beat whipping cream until peak and mix the cranberry compote. 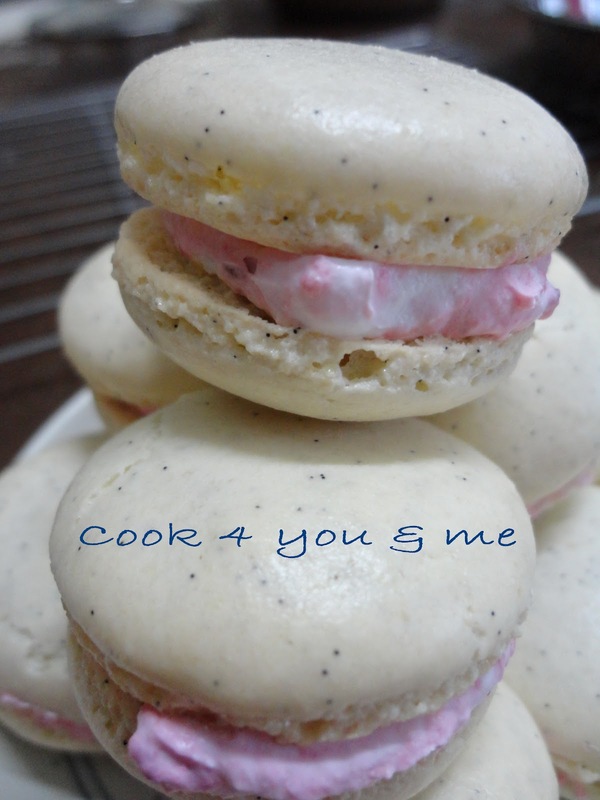 I tried this recipe too and only 3rd time i managed to make it success! The original recipe was from The Sweet Spot. Your turned out beautiful too. Thank you Sonia.it not easy to make.The Sweet Spot recipe is in a large amount.I follow Swee san step by step and recipe i follow Wendy.